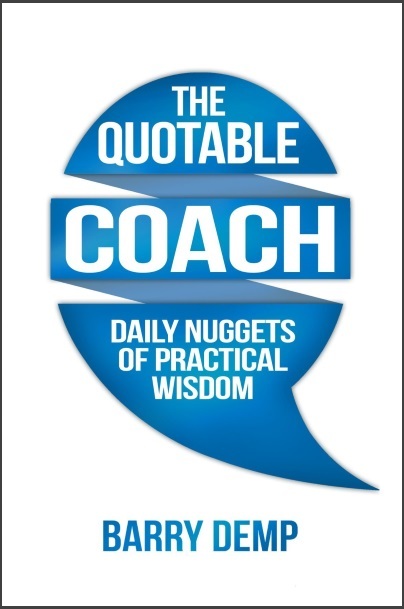 Thank you for your interest in Barry and his book The Quotable Coach: Daily Nuggets of Practical Wisdom. If you are featuring Barry in your publication, on your radio show, or similar, you are welcome to use any or all of the following information. Barry Demp is a business and personal coach based in Troy, Michigan. He has been coaching for more than twenty years, and has worked with well over a thousand people, helping them grow in their professional and personal lives. For 15 years, he has held the distinction of Master Certified Coach from the International Coach Federation. Since 2012, Barry has been running The Quotable Coach, a daily (Mon – Fri) email series of thought-provoking quotes, reflections and exercises. All the quotes are archived on this website. He has been married to his wife Wendy for 35 years and they have a son, Dan, and daughter, Rachel. 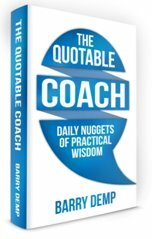 Based on Barry’s website “The Quotable Coach”, this book is a compilation of 365 quotes, reflections and exercises, designed to be a simple way to grow each day. The book was published in July 2014 in digital and print formats. 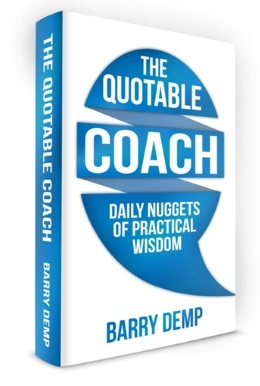 You can request a (digital) review copy of The Quotable Coach: Daily Nuggets of Practical Wisdom by emailing Barry at barry@dempcoaching.com. Please include the words “review copy” in your subject line. You can also download a one-page.pdf of information about the book. You’re welcome to use any of these book cover images when writing about The Quotable Coach: Daily Nuggets of Practical Wisdom.